"IT'S not funny...really, it's not!" That's the tagline for this multi-media play "that's been created to foster awareness, discussion and action on climate change in the province of Alberta," according to the event's companion website albertaville.ca. U: The Comedy of Global Warming, which was penned and directed by Ian Leung, uses humour & hard facts to educate its audience on the very serious issue of global warming, and uses a fusion of live theatre and documentary film to both provoke and entertain the crowd as well. "At first U: seems like it might be a television show about global warming hosted by an actor-narrator and taped in front of a live audience," the website continued. "Then it abruptly shifts its attention to an episodic fable about an oil executive who brings a climate change refugee to Canada. Over the course of the play the TV show and the fable interweave and eventually collide--with catastrophic results." Actual Edmonton scientists, activists, politicians and regular citizens were interviewed for the doc part of the play, which is entwined with local media and theatre artists for the performance portion. 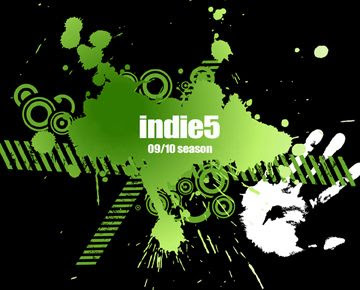 U: The Comedy of Global Warming is the 2009-2010 (November 4-May 8) season opener for the fourth term of indie5, and stars Clinton Carew, Tim Hamaguchi and Garett Spelliscy. It runs nightly at 8PM from Friday, December 11th until Sunday, December 20th, at the U of A's Fine Arts Building (Media Room). Tickets are $20 ($15 students/ seniors/ artists) and can be purchased at the door or at Tix on the Square (780-420-1757).